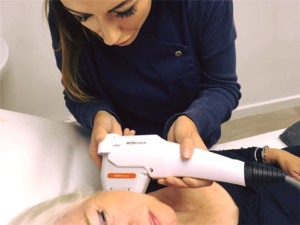 High Intensity Focused Ultrasound (HIFU), also known as the 90 day face lift, is now one of the most popular face and neck lifting treatments, achieving tighter and firmer skin with no recovery time. HIFI can also be used for body contouring and skin tightening, dissolving fat with goods results especially for upper arms and abdominal fat. If you are aged 30+ you can have this treatment. If you are in your 30's HIFU will stimulate the collagen production in your face & neck area and so help to delay the ageing process. The 40's and 50's age group is the most common age for this treatment. The treatment is suitable if you are aged 60+, provided the degree of laxity is not too great. 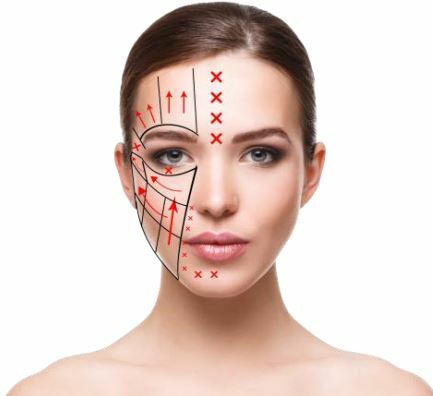 It is also for those who have had surgery in the past to prolong the effects of surgical facelifts. The treatment addresseses skin that is mild to moderately loose or lax, specifically by reconditioning and renewing the skin from within. HIFU Therapy will lift the brow, which in turn reduces excess skin on the eyelids, opens up the eyes, and gives a more refreshed look overall. Results may vary from person to person, but most people find results last over 1 year, although yearly touch-up treatments are recommended to stay ahead of the ageing process. You may see some initial effect, but ultimately lifting and firming will take place over approximately 3 months, as collagen is renewed and replaced with new, stronger collagen. As this collagen building process continues, further improvements can appear for up to 6 months. Results can vary from person to person.